Let me introduce you to SafetySuit, the pop rock masterpiece from Tulsa, Oklahoma. This band, originally formed in 2002, have been on an unannounced hiatus for the past several years. 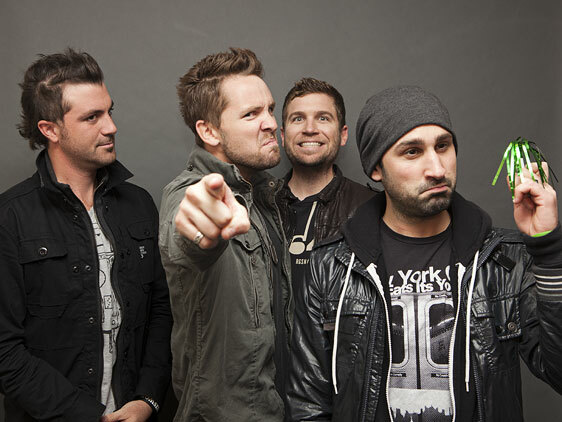 This hiatus sent their fan base into a confused spiral as there was no word from the band as to the current status of their third studio album, whether or not the group would be touring soon, or if SafetySuit would remain a group at all. The long wait is over as SafetySuit just released their first single in almost 4 years since the release of their second studio album, These Times. The new piece is titled “Looking UP” and is representative of how the group feels entering their next era of music as SafetySuit. As one can imagine, being out of the music scene for such a long time can significantly decrease your fan base and your brand imagery. SafetySuit is hopeful that a lot of their fans will have stuck around and those that didn’t will be replaced by a new generation of music fans that this third album will draw in. As aforementioned, this is going to be SafetySuit’s third studio album, followed by their debut LP, Life Left To Go, and their second full length, These Times. These two albums are how the group made a name for themselves in the pop rock and alternative scene. They were able to join tours with The Script and Parachute, both of whom have much different sounds than SafetySuit, but paired nicely for an excellent show. If you’re only now hearing about SafetySuit, you can check out both of their albums on Spotify and grab them on iTunes. Also, pick up “Looking Up” while you’re there! Follow them on Twitter and Instagram, and like their Facebook page for more information on when they’ll tour and release their new album!